15 Central Park West is frequently in the news—whether it’s because a new celeb has moved in, or that it’s recorded yet another blockbuster sale. But standing far from the limelight is the building’s architect, Robert A.M. Stern, who, like his buildings, opts for the stately, subdued and classic over the winding and twisting standalones of his contemporaries. “We have a lot of silly buildings being built, in my opinion. The buildings should not look like Lady Gaga,” the architect says. In the latest installment of the Louisiana Channel Stern discusses what might be his most famous project, 15 CPW, and why he strives for buildings that complement, not dominate. In the video Stern talks about how his upbringing in Brooklyn and the feeling of taking the train into the city with the skyline in view as it crossed the bridge—an experience that has defined his style in many ways. But more interestingly, the architect goes into detail about his approach to the design of 15 CPW—or the “Limestone Jesus” as many in the real estate industry call it. 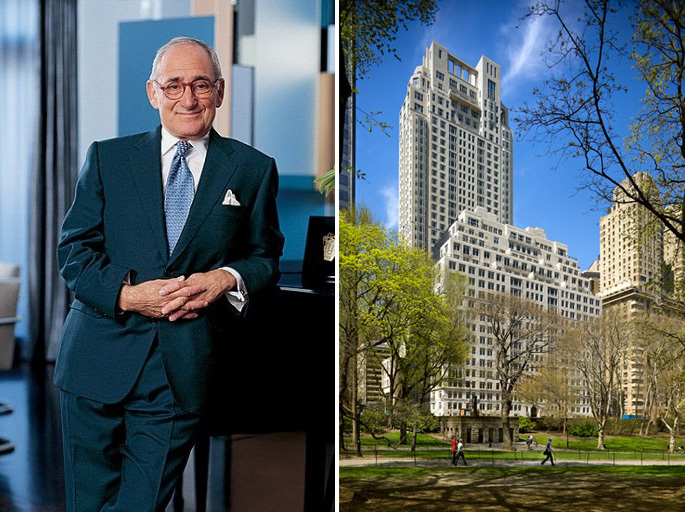 Though 15 CPW has brought incredible success and fortune to its developer and those who have bought homes inside, for Stern, 15 CPW was about an architectural idea, not a real estate opportunity. The goal of his design was simply create a “background building” able to fill in the wall of Central Park West. “The language of the building picks up from the Art Deco of Central Park West, but the use of limestone connects it to some of the finest residential buildings, not to mention the Empire State Building,” says Stern. He goes on to talk about the materials and distribution of spaces and how they come together to define 15 CPW.